NPR story on one of the heroic St. Augustine Movement, Ms. Mary Peabody of Massachusetts, here with Sheriff Lawrence O. Davis, later suspended for corruption by Governor Claude Kirk and removed by 44-2 vote of the Florida Senate, a datum misrepresented on the website of Sheriff DAVID SHOAR, who falsely states that corrupt racist Davis was "exonerated" by the Florida Senate. This story is part of NPR's 50th anniversary coverage of 1964. The year remains prominent in civil rights history for a number of reasons: the Freedom Summer, the murders of three civil rights workers, the passage of the Civil Rights Act and the challenge to Mississippi's segregated delegation at that year's Democratic National Convention. Fifty years ago, St. Augustine, Fla., was a quiet, palm-fringed resort town with pastel Spanish colonial buildings. There was warm weather, and the white sand beaches off the Atlantic coast lured thousands of tourists every year. There was also a historic part of downtown that had a building often referred to as "The Old Slave Market," with good reason: For several decades, that had been the building's purpose. The Rev. 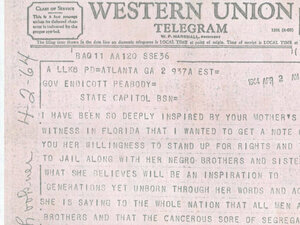 Martin Luther King Jr. sent a telegram to Mary Peabody's son, Massachusetts Gov. Endicott Peabody. King thanked the governor for the sacrifices of his mother, Mary, and for her willingness to be jailed for the St. Augustine sit-in. To further increase the pressure, King's deputy, Hosea Williams, visited Boston to see if any elderly Bostonians would volunteer. 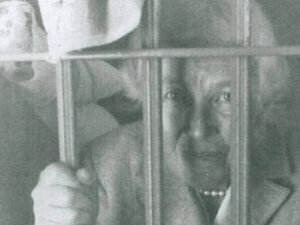 Williams believed the image of grandmothers being ushered off to jail would be a sure bet in gaining national publicity for places that had been in the shadows. One of Williams' volunteers turned out to be 72-year-old Mary Parkman Peabody, wife of the former bishop of the Episcopal Diocese of Central New York and mother of Endicott Peabody, then-governor of Massachusetts. 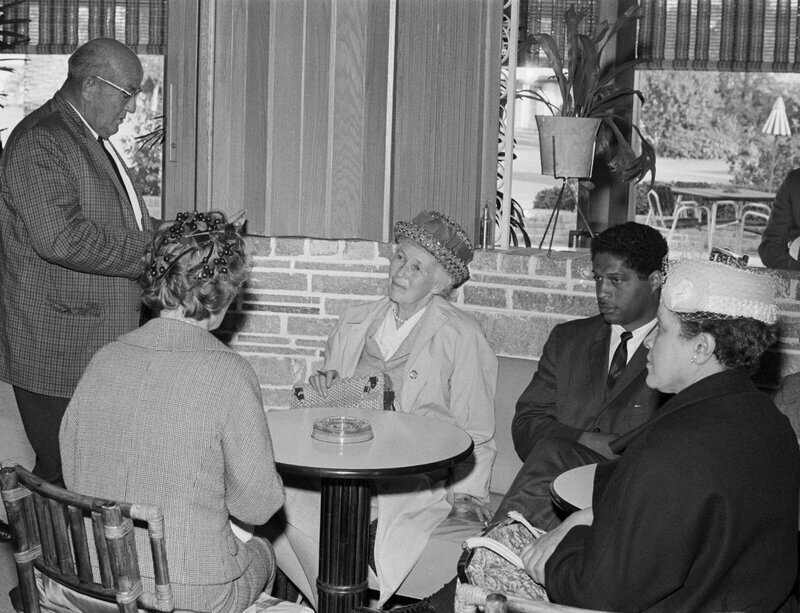 "It was clear that they were trying to mobilize a civil rights army to come to St. Augustine to lead demonstrations against the segregation policies of the community," Colburn says. The late governor's brother, Samuel Peabody, says his mother had been involved in what she called "justice issues" for several years. "She never had a doubt about her opinions, and she stood up," says Peabody, a retired New York businessman. "She was articulate about them at all times." 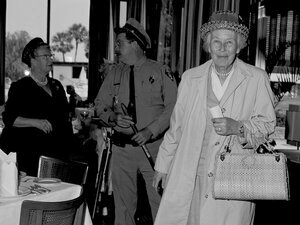 Mary Peabody, says Colburn, was clear about the probable consequences: "She even ran into an old friend on the street in St. Augustine as they were going to the hotel restaurant, and was asked what she was doing there and said, 'Well, I'm about to get arrested!' "
"I was not told about it at all. What surprised me was I saw my mother on the front page of every newspaper in the country!" he recalls. "Or at least every newspaper where I was at the time." (Southern newspapers were the exception, for obvious reasons.) The picture of Mary Peabody, with a proper handbag and pearls, her white hair topped by an ever-present hat, made national news. "She did not face the danger that so many of them did, but the fact that she was able to generate the publicity made her special."